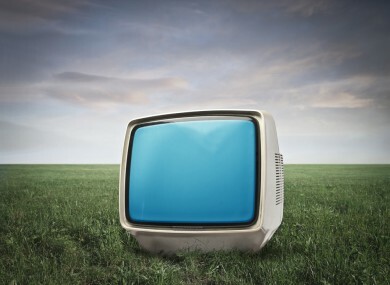 AROUND 95 PER cent of people in Ireland own a TV, a new survey says. The Commission for Communications Regulation (ComReg) has published its Consumer ICT survey for 2013, which surveyed 1500 people nationwide. It found that mobile phones are the most commonly accessed telecommunications services at 97 per cent, while landlines are accessed by 69 per cent of those surveyed. TV ownership stands at 95 per cent, laptop ownership is at 75 per cent and 54 per cent of those surveyed owned a smartphone. A third (33 per cent) of those with broadband use it to make video-calls. Over half of those surveyed (53 per cent) have Sky for a TV service, 29 per cent use UPC and 9 per cent use Saorview. 77 per cent were satisfied with their landline service and 76 per cent were satisfied with their mobile phone service. When it came to the most important factors when using a telecommunications service, consumers ranked cost and service quality highly. Over half of people said they use a bundle of telecommunications services, while 65 per cent of people living in in urban areas opted for a bundle of services. The most popular bundle is a combination of landline and fixed broadband – but 50 per cent of those surveyed are unaware of the broadband speed they are receiving. The survey reveals that Irish consumers are clearly looking for value for money when choosing a telecommunications service. Household Broadband access is now relatively high at 78 per cent and it is evident that a majority of people regard broadband as a key part of their working, social or educational lives. The survey shows that speed of service is ranked highly by consumers when choosing a service. Email “Just 5 per cent of people don't own TVs - survey”. Feedback on “Just 5 per cent of people don't own TVs - survey”.